Pascoe Vale Community Centre is a hub of activity. Following some major renovation work, Moreland Council wanted to improve pedestrian safety at the centre. They also wanted to protect the pathways. Until recently, vehicles could be driven right to the front of the building where people enter, exit, and congregate. The council rightly considered this to be unduly risky to pedestrians and damaging to the paths. Pedestrian safety is a concern at many public buildings, and anywhere that vehicles and people mix. Thankfully, responsible owners (like Moreland Council) take the necessary precautions. 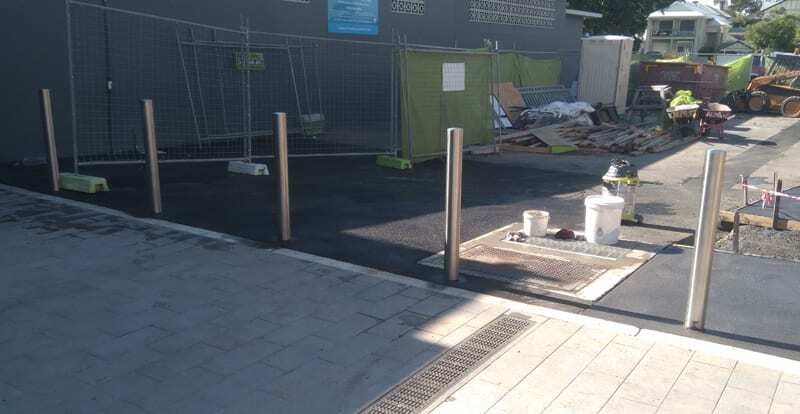 Moreland Council consulted with SHUG Bollards and decided on a bollard solution to restrict vehicular access. SHUG Bollards installed a neat row of five stainless steel safety bollards. Moreland Council opted for permanent bollards because they wanted to keep vehicles out of the area at all times. These permanent bollards provide a safe area on the paths immediately outside of the community centre building. Pedestrians can now use the building safely. The paved area and paths will remain free from damage caused by vehicles. Would your property or the people that use it benefit from safety bollards like these? SHUG Bollards supply and also fit permanent and removable bollards in a range of sizes to suit all requirements. They provide an important safety precaution, and they also look good too. Contact SHUG Bollards today for a free, no-obligation quote.